When I heard about this documentary I was intrigued. 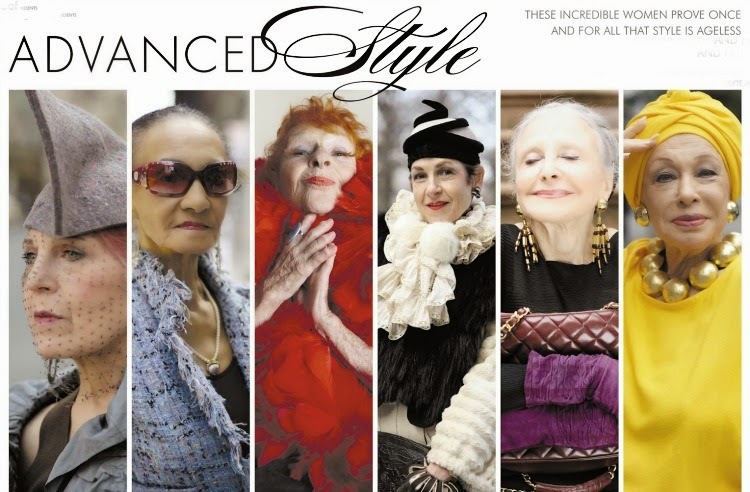 A documentary about fashionable older women? I wanted to see if watching and listening to older women talk about fashion would inspire me or would it depress me. First, I loved that this documentary was set in the heart of New York. Watching the ladies strut their stuff all over the city was divine to see. I have seen quite a few stylish older women in the city but many wear grey or black with their hair tied back and a scarf around their neck. Its nice but well, its boring. The women I saw in this film where out of this world. They weren't afraid of color, of mixing patterns, of loud pieces, or of wearing many of the same things all at once. In a nut shell, did watching these ladies parade their fashionable selves all around inspire me or depress me? It inspired me absolutely. Their individual stories were captivating and interesting and their view of fashion was very, very refreshing. Many of them stated that fashion to them was like creating art but on themselves. I love that. I would say technically I am entering quite possibly the middle years of my life. I still have young children but I am getting a bit older. 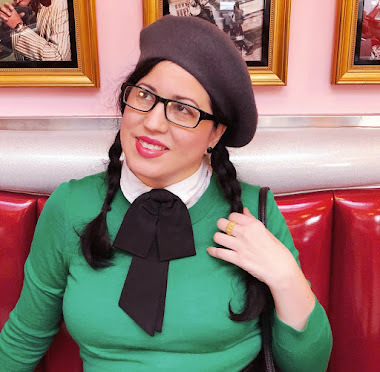 Although I wear vintage whenever I can and I have been exploring my sense of style more and more because of my love for vintage, it sometimes is scary to think of experimenting too much. I think about what my children will think and its important to me that they can understand and appreciate why I do what I do. For example, I still wear jeans but I am finding ways to add a bit of 60's to my jean outfits. I am lucky and proud to say my children think I look beautiful every time they see me put effort into my looks. They all appreciate it and I feel like I am teaching them to express themselves any way they can and have fun with what they are wearing all the while remembering to be comfortable, feel good, and take care of yourself. I don't emphasize overindulging with vanity but I do try encourage them to dress their best, and be the lady or gentlemen that they are. Dressing well used to mean something but these days it is questionable. I want my children to tap into that old fashioned idea that you should carry yourself well and with confidence and what you wear can help you with that. This film made me think about how my delving into vintage fashion has affected my family and how far I am willing to go to express my passions for the past. The ladies in this film grasped something I am slowly beginning to and its something that age can gift us as we grow older. Not to care what others think, to enjoy the time we have by doing what we love, to keep being creative, and embrace your beauty at any age that you are. 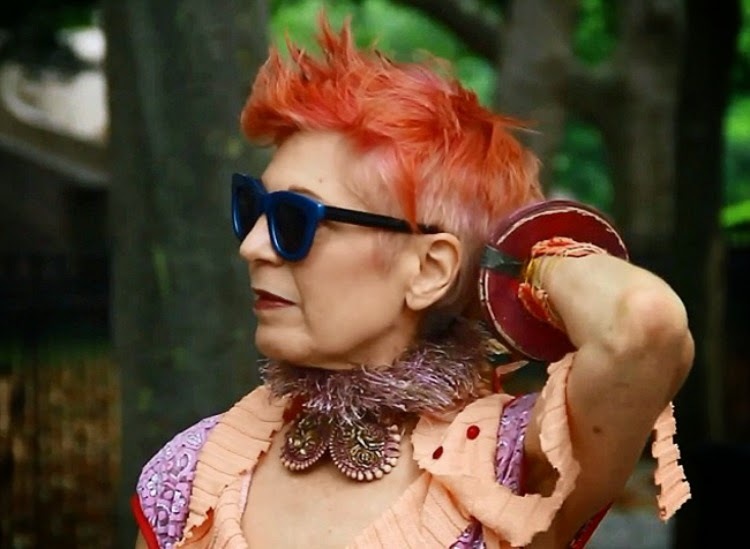 What started out as a blog (Advanced Style) led blogger, Ari Seth Cohen to have a publish book and now this spectacular documentary where life and fashion are both celebrated beautifully and equally. This documentary is available on Netflix via streamline and also on Amazon HERE. I borrowed the Advanced Style book from my library and showed it to my grandmother, who was just so inspired by it! It was awesome. So I bought her the DVD for Christmas. I've been hoping she'll lend it back to me, but she hasn't mentioned it. I should have done what she does with books and enjoyed it myself before giving it! It's the one I'll miss out due to the fact that I live quite far away, and we do not have Netfix over here. I watched this one as well not too long ago, it ws really interesting. I think what I loved the most about them is that they are determined not to fade into the background, even though the dominant cultural narrative is that older people, and especially older women, should just disappear. I really loved the woman who was an artist, although the fake eyelashes made from her own hair were a bit creepy. I am familiar with the blog, so am anxious to see the documentary. These ladies are truly inspiring to me and I love the fact that they defy the norm that older women are relegated to bland, dowdy or matronly wardrobe choices. 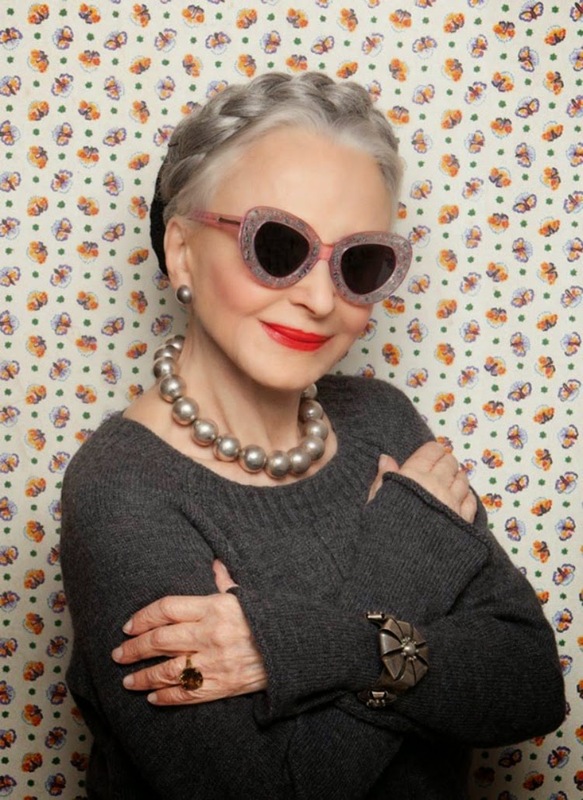 After all, fashion should always be about fun, creativity and expressing your individuality no matter what your age! I lapped this doc up back around the New Year and really enjoyed it! I want to get my paws on a copy of the book now, especially since I've been following Ari's blog (like countless other folks) for ages now (and more recently his Instragram account for AS, too).